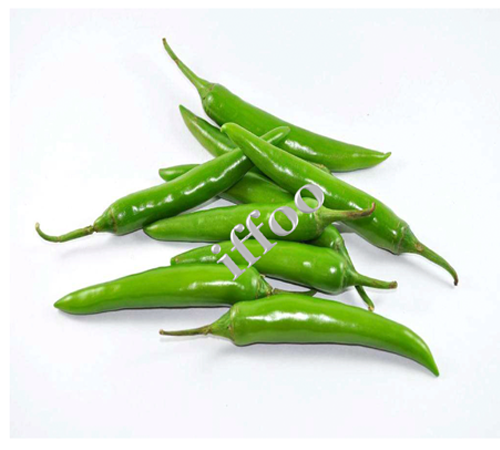 Green chili are immature chili peppers, most often Pasilla, Anaheim or Poblano peppers that have been harvested before fully ripening. Not as spicy as red chili peppers, they are available raw, canned or pickled and are a common addition to traditional Hispanic dishes ranging from soups to snacks. Calories 40, Total Fat 0.2 g, Sodium 7 mg, Potassium 340 mg 9%, Total Carbohydrate 9 g 3%, Dietary fiber 1.5 g 6%, Sugar 5 g, Protein 2 g 4%, Vitamin A 23% , Vitamin C 404% , Calcium 1% , Iron 6% , Vitamin B Calcium 1%, Iron 6%, Vitamin B-6 15%, Magnesium 6%.